This may or may not be possible in future, but Toshiba is all set to create a next level of encryption technology that the firm claims is absolutely unbreakable and “completely secure from tapping“. To get rid of this issue, Toshiba is creating a ‘foolproof’ Quantum Cryptography System that uses photons sent over a custom-made fiber optic cable that is not connected to the Internet. Thus, anyone trying to intercept the user’s data would get data with an entirely changed form of data, making spying incredibly difficult. Imagine a city with Wi-Fi hotspot. Now imagine that it is free as well. 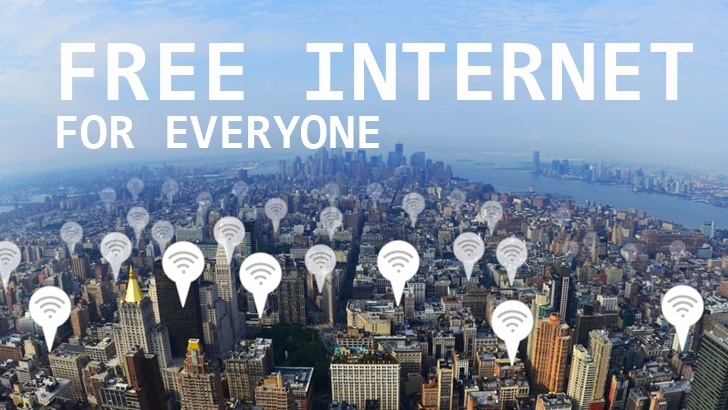 This won’t be just an imagination for long as Google has unveiled its new plan to bring Free, Superfast Wi-Fi to cities around the world. Sidewalk Labs, a Google-owned company that focuses on improving city living through technology innovations, has announced that the company will roll out free WiFi to everyone in New York City around September this year. But, How will the company do this? Google-backed Sidewalk Labs will convert over 10,000 New York’s old phone booths into ad-supported “Wi-Fi pylons.” These booths will offer free wireless Internet access to anyone within 150 feet of radius. Sidewalk Labs is leading a group of investors acquiring Control Group and Titan, companies working to cover New York City with Free, Superfast Wi-Fi service. Besides offering free Wi-Fi, the booths are also intended to provide free cell-phone charging, free domestic phone calling and a touchscreen-based information hub that provides you everything you need to know about the city and transit directions, Bloomberg reported. According to the report, each Wi-Fi pylon will deliver advertising on the sides through Titan’s advertising network, which is expected to bring $500 million in ad revenue to the city over the next 12 years. If this first trial in New York City proves to be a success, then the search engine giant will step forward to roll out similar programs in other cities around the world in the hopes to get the whole world online. There isn’t any troll in the title. The “World’s Largest microSD” card sized at 200GB is now officially available for purchasing from Amazon and number of retailers. So, Is your 16GB, or 32GB, or even 64GB smartphone not enough to store all your data in one place? Order a Sandisk’s new high-capacity microSD card from Amazon now. However, the only issue is that it is not exactly very cheap. You will have to pay around $240 to buy one. Back in March when Sandisk first announced the world’s first 200GB microSD card, it was expected to be priced at around $400. However, $240 has been marked as the price for the highest-capacity microSD card available in the market. 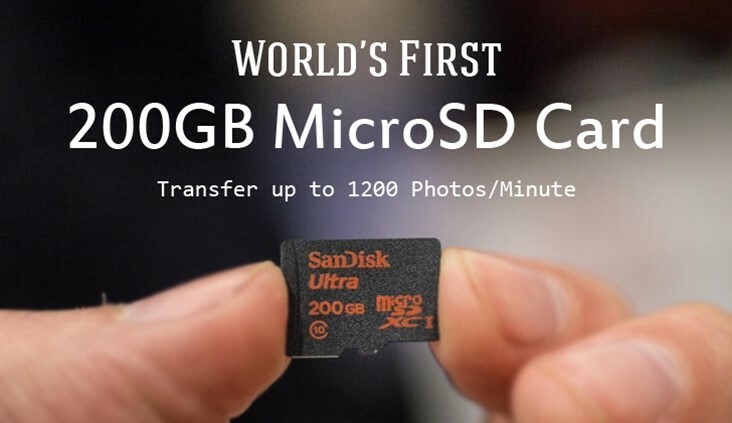 Sandisk’s 200GB microSD card, or Ultra microSDXC UHS-I card, offers a transfer speed of up to 90MB per second, which is double the speed provided by its 128GB counterpart. Apple has now joined a host of merchants (Major retailers like Amazon, Ebay, and Walmart immediately jumped on board and have now removed confederate flags from their listings. The sheer ridiculousness of the move is noted that while Amazon has removed memorabilia featuring the flag of the Confederacy, they continue to allow the sale of items featuring Nazi emblems and Swastikas.) in removing the Confederate flag from its platform – in its case, the iTunes App Store. Several app developers are now reporting that their Civil War games, which featured imagery of the flag as part of their game’s historical context, have been pulled from the App Store. Apple’s move to ban these games follows similar decisions by a number of major retailers, including Amazon, Walmart, eBay, Sears and others, which all announced bans on the sale of Confederate flag merchandise in the wake of the shooting deaths of nine black parishioners at a church in Charleston, S.C., this month. It seems like the removals were not a blanket ban on use of the Confederate flag imagery in App Store apps. And there may have been titles that shouldn’t have been pulled because the use of the flag could be considered “historical” or “educational,” as per Apple’s comment above. Apple’s intention is not to lose games from the App Store, but rather remove those titles that could offend. That means there will be some apps that are not likely to be reinstated, such as the banned Confederate flag wallpaper app, for example. Currently, affected titles include Ultimate General: Gettysburg; several Hunted Cow/HexWar Games Civil War games; and more. The ban has also affected select apps, like “Southern Pride (Rebel Flag) Wallpaper,” it’s been noted. According to at least one game developer Touch Arcade spoke with, their game was removed because it contained “images of the Confederate flag used in offensive and mean-spirited ways.” We’ve confirmed with others that this is the language Apple is using when referencing the removals. Many developers argue that their games aren’t meant to be offensive, but rather include the flag imagery because of its historical context. 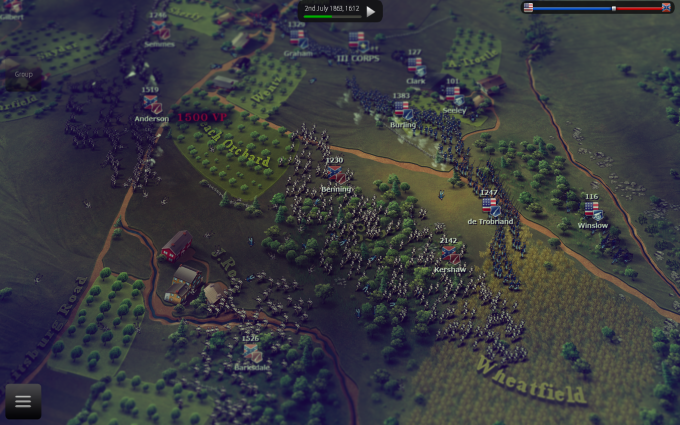 Maxim Zasov of Game Labs, which publishes Ultimate General: Gettysburg, told Touch Arcade that teachers have used his game when teaching the Civil War in the classroom. Elsewhere on Reddit, an unnamed developer also reports that 14 titles from a game studio they work with have been removed. The company advised HexWar (which grew out of a collaboration between Hunted Cow and the original HexWar), to “review its app concept and incorporate different content and features that are in compliance the guidelines.” The company offers several Civil War-themed games which have been banned, including Civil War: 1862, Civil War: 1863, Civil War: 1864 and Civil War: Gettysburg. 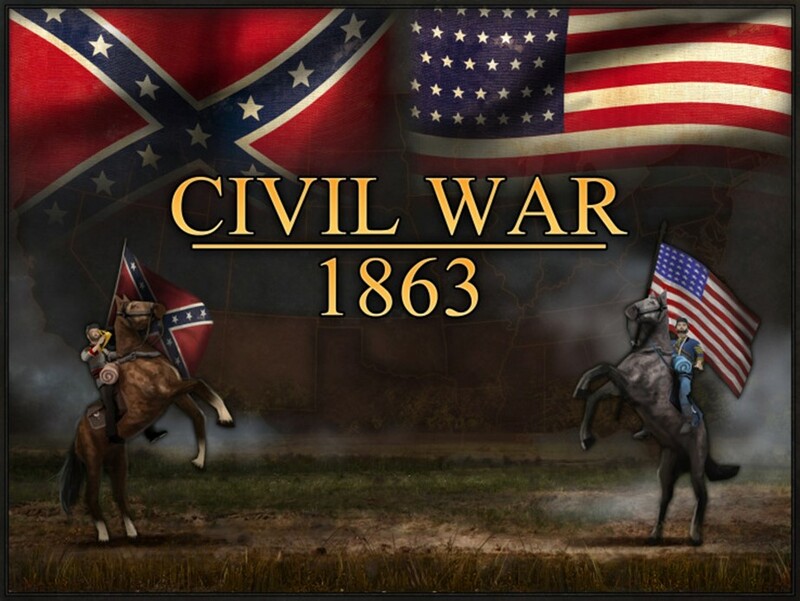 The oldest game, Civil War: 1863, has been live on the App Store since September 2012. Hunted Cow/HexWar says they will now try resubmitting its titles using a lesser-known 1861 version of the flag to see if their games will be approved. The Apple bannings don’t seem to be universal, however. Ars Technica points out there are other titles that include the image of the flag that are still live on the App Store, like The Battle of Antietam and The History Channel’s The Civil War Today. Plus, Apple continues to sell other media that showcases the Confederate flag, including albums and TV shows like Primal Scream’s Give Out But Don’t Give Up, Legend by Lynyrd Skynyrd and seven seasons of Dukes of Hazzard, as The Guardian notes. In addition, The Guardian also remarks that Apple’s decision to enforce the Confederate flag ban contradicts how it handles other offensive materials, like the Nazi flag. Several titles (including those that don’t claim historical accuracy) that feature this flag remain available. The question, apparently, is where does Apple draw the line with regard to the removal of the Confederate flag, or any offensive flag, from its storefront? Apple CEO Tim Cook recently tweeted his support for measures that involve removing the symbols of racism, so it’s not entirely surprising to see the company take this step. Microsoft refuses to patch 32-bit Internet Explorer, so HP’s Zero Day Initiative responds with full proof-of-concept code. Microsoft refuses to fix a known flaw in Internet Explorer 11, and so HP is raising the stakes by publishing proof-of-concept code that could be used to attack to weakness. Last year HP’s highly regarded Zero Day Initiative group found a bug in Internet Explorer 11’s Address Space Layout Randomization (ASLR) routine and reported it to Microsoft. The February announcement came after the 120-day disclosure timeline had passed, but at the time, we did not disclose further details in the best interests of the ecosystem at large. In other words, Microsoft hadn’t fixed all of the bugs yet, and we wanted to give them a little more time. We were working under the assumption that a fix for all reported bugs was being worked. Unfortunately, Microsoft eventually informed the team a complete fix was not forthcoming. The sticking point? Microsoft doesn’t want to fix the 32-bit version of IE11. We still haven’t heard Microsoft’s side of the story, but according to HP, Microsoft has given two reasons for not fixing the 32-bit bugs: “64-bit versions of IE would benefit the most from ASLR” which is undeniably (if obviously) true; and “MemoryProtect has led to a significant overall decrease of IE case submissions,” which is also undoubtedly the case, but beside the point. Since Microsoft feels these issues do not impact a default configuration of IE (thus affecting a large number of customers), it is in their judgment not worth their resources and the potential regression risk. 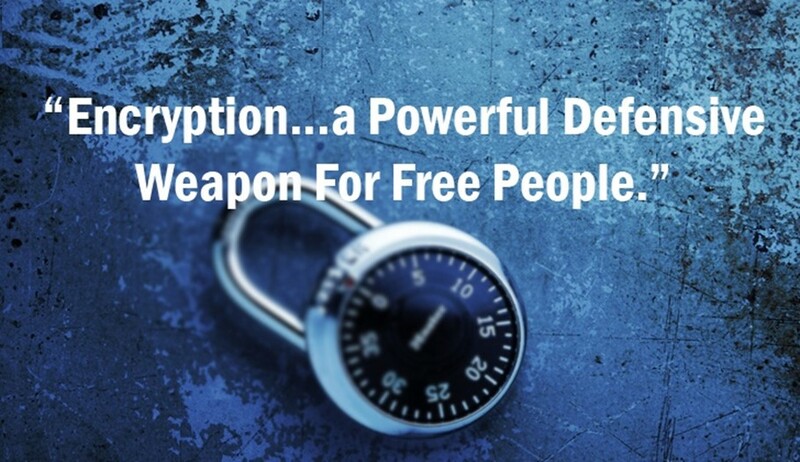 We disagree with that opinion and are releasing the PoC information to the community in the belief that concerned users should be as fully informed as possible in order to take whatever measures they find appropriate for their own installations… in order to effectively protect a system, defenders must fully understand the threat. We feel it’s important to let everyone know about the threat so that they could better understand the actual risk to their network. While the remaining security flaw isn’t earth-shattering — it’s a bypass of IE11’s internal ASLR bug-thwarting capability, not a direct exploit — and Microsoft has apparently fixed the much more common 64-bit version, it’s still unsettling that Microsoft isn’t willing to devote the resources to fix the 32-bit version of its flagship Web browser. IE11 continues to live in Windows 10 — 32-bit and 64-bit. Will the 32-bit flaw also persist? It’ll be interesting to hear Microsoft’s side of the story. 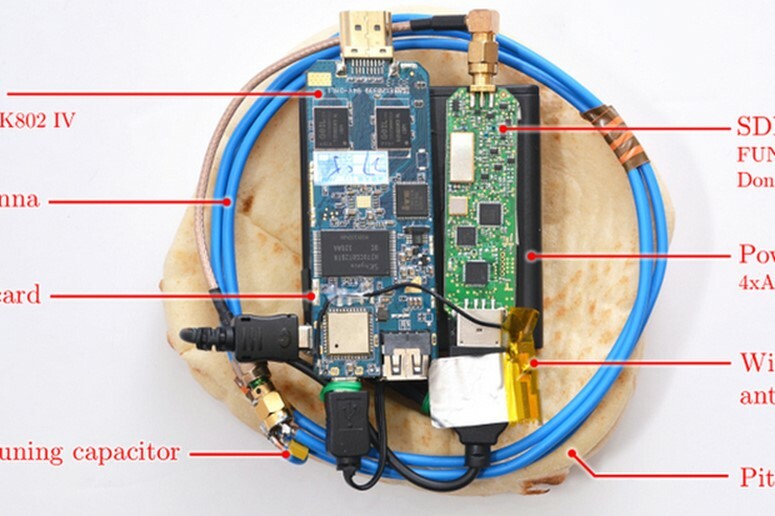 As part of the attack, the PITA device sends a few carefully crafted ciphertexts, or encrypted content, to a computer. When the content is decrypted by a computer, it gives off observable electromagnetic signals. Yes, Microsoft is giving Windows away for free to people who don’t technically qualify for the upgrade. That’s a good deal, but it’s not that big a deal. Here’s why. This PC gets a free Windows 10 upgrade, no questions askedIn the always confusing world of Microsoft licensing, there are two sets of rules. One thing you’ll notice if you read that section carefully is that it doesn’t contain any legal language. In fact, the word license doesn’t appear anywhere in the post. Those edits, of course, simply muddle the description and were clearly added at the insistence of one or more of the aforementioned lawyers. In fact, the last sentence contradicts everything that came before it in the paragraph. I am confident that no change is going to be made to the delivery and activation servers for Windows 10. But at least the folks in L&C are now happy. It’s also worth noting comments on that post are closed, which prevents customers from asking for clarification. Update 2, June 21 12:15PM PDT: On Twitter today, a day after these legalese changes were made, Microsoft’s Gabe Aul confirmed that registered members of the Windows Insider program who upgrade from a clean install of the preview edition will end up with a fully activated copy of Windows 10. 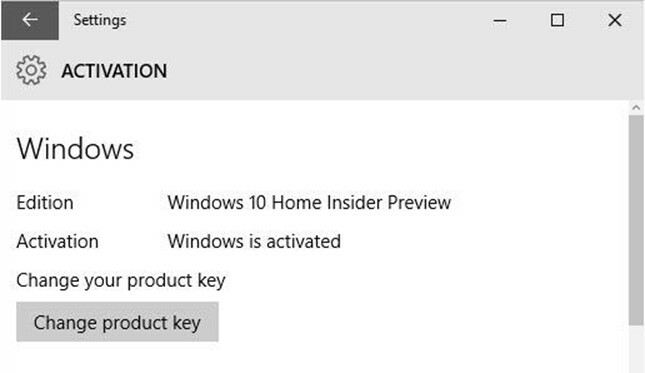 Yes, that copy of Windows 10 will remain activated, even if it was installed clean with no trace of any previous Windows version to be found. Yes, you will be able to clean install Windows 10 on that PC from the official media if you want to start over fresh. And if there’s a technical conflict with the license agreement terms, you can relax. Microsoft is happy to have you on Team Windows. Why is Microsoft doing this? I can think of a billion reasons. Microsoft’s stated goal is to have Windows 10 running on a billion devices within the first three years after this summer’s launch. To reach that huge number, they need to convince hundreds of millions of current Windows users to upgrade. Asking people to pay means most will say no. So the upgrade is free to the overwhelming majority of current PC users. You could think of it as a reward for the millions of people who have participated in the Windows Insider program, but there’s really a much more practical reason: It simply isn’t possible to do any kind of meaningful license check on individual PCs, and any attempt to do so would just cause friction. Likewise, activation hassles cause friction. Friction means people get frustrated and cancel the upgrade. Friction is not consistent with getting a billion Windows 10 users in the next few years. So the new rules are written with the expectation that activation will be ridiculously easy. If that allows a very small number of Windows enthusiasts to get free copies of Windows 10 that they’re not technically entitled to, that’s a fair exchange for absolutely minimizing the friction on those upgraders who meet the technical qualifications. Any homebrew computer builder who puts together his own PC and has been running the Windows 10 preview on it gets a nice little gift. Happy Birthday! Likewise, Microsoft is offering every Mac owner an opportunity to try out Windows 10 and keep it for free if they like it. Just install a preview release now, either in Boot Camp or in a virtual machine, and you will get an automatic, fully activated upgrade to the final edition when it is released. No strings attached. If you like to tinker with virtual machines, you can do so with ease as well. Microsoft is leaving some money on the table, obviously. But the amount is, quite literally, a rounding error for its Windows business, and having a gargantuan user base is more important than that puny revenue. So why not just say, “Windows 10 is free”? Businesses still have to pay for their Windows Enterprise edition licenses. PC builders still have to pay for their OEM copies. End users pay, indirectly, when they buy a new PC from one of those OEMs. Yes, in theory a business could pick up a hundred “naked” PCs (no operating system installed) from a local system builder, install the Windows 10 Pro preview edition on each one, and then drop out of the Insider program after the final, fully activated version arrives. At $140 per copy, that’s a pretty fair chunk of change. But while those machines would be properly activated, they would not have valid licenses. And when (not if) Microsoft shows up to conduct a licensing audit at that company, the consequences will be unpleasant. I suspect Microsoft’s lawyers will include language in the final license agreement that prevents those “creative” deals from cutting into the core Windows business. License terms for a new Windows edition don’t typically appear until the very last minute. The broad outlines rarely change, but Redmond’s lawyers like to throw in one oddball change just to mix things up. At the moment, there’s only a preview license agreement in place, so there’s no telling what surprises we’ll find this time around. Back in April, Tone Deaf ran a story about a NSW Police proposal that would see cops jettisoning their sniffer dog program in favour of high-flying sniffer drones. The drones would sniff out drugs and then take snaps of the offenders, sharing the data with officers on the ground. It was, as most of our readers managed to gather, an April Fool’s Day prank. There is, as far as we know, no NSW Police drone program and if there is, they haven’t unveiled any plans to deploy it at music festivals, and they certainly have no plans for getting rid of their sniffer dog program. However, it appears there really is no longer a need for satire, because the world does just ridicule itself. As Gizmodo reports, police in the UK recently used facial recognition technology to scan the faces of thousands of attendees at the Download music festival without their knowledge. Leicestershire Police used Download to do a test run of their new facial recognition technology in an attempt to nab “organised criminals” who specifically target music festivals to “steal mobile phones”, according to a report in Police Oracle. The footage collected by the facial recognition tech is then compared against a database of custody images to identify the criminals. Before you ask, no, we’re not making this up. ThePolice Oracle story caught the attention of the BBC, TechDirt, and Noisey. It’s nothing new. Facial recognition is becoming increasingly commonplace in law enforcement. In the US, it’s being used by the FBI and a number of local police departments, though generally in more limited settings specific to an ongoing investigation, such as a department store. Download Festival marks one of the first times the technology has been used in such a broad, outdoor setting. As Noiseynotes, facial recognition technology had previously been employed by authorities during Boston Calling festival in 2013, which came shortly after the Boston Marathon bombing. However, the police operation at Donnington Park came seemingly without justification, or for that matter, explanation. According to The Register, police claimed the public would have been informed after the conclusion of the event. You didn’t know, so it wasn’t intrusive, right? Also interesting to note is the fact that Outbreak Festival, which was to take place in the same location as Download, was mysteriously canceled at the last minute three weeks ago. According to Noisey, there was no facial recognition planned for the site. The entire festival had been set up, but safety concerns raised by Leicestershire police reportedly prevented the event from going ahead. Whether Download Festival had much of a choice in becoming the guinea pig for the police’s new technology is not known. As Gizmodo notes, it’s a classic slippery slope situation. A massive amount of data on innocent members of the public could now be sitting on a police hard drive somewhere, despite their insistence that all footage was destroyed after the festival. Q: In your Social Security guide for women, I think you made a mistake. You said a divorced woman can get Social Security from her ex-husband while he is still living. But I was told by friends, who know these things, that the only way a divorcee can get Social Security is when her ex dies. Do you need to make a correction? A: You need to go back and correct the “friends who know these things.” Tell them that your ex-husband does not have to be dead in order for you to get any of his Social Security. And if my e-mail inbox is any indication of the public’s knowledge of this issue, then you and your friends are not alone in thinking incorrectly about a divorced woman’s possible eligibility for Social Security from an ex-husband. — A divorced woman must have been married to her ex for at least 10 years. — She must be currently unmarried (even if she remarried after the divorce, she would still be eligible for benefits if the subsequent marriage has ended). — She must be at least 62 years old. — She must not be due higher benefits on her own Social Security record. Another part of the eligibility rules concerning the ex pleasantly surprises many divorced women. And that is the fact that it doesn’t matter if the ex has remarried. A divorced woman claims her benefits from the ex-husband independently of any other activity on his account. A guy could potentially have two or three women getting benefits on his Social Security record, and each would qualify for full benefits. Payments to each divorced wife do not offset any other payments made on the account. And on a related note, here’s a bit of good news for some of the divorced men out there. Anything paid to your ex-wife (or wives) does not reduce your Social Security benefits in any way. I’ve mentioned before that throughout my 32-year career with the Social Security Administration, I ran into many situations where a man had a clause similar to this inserted into his divorce decree: “I don’t want my ex-wife to get a nickel of my Social Security benefits.” That clause isn’t worth the paper it’s printed on. One final note: Many women, whose ex is still alive, don’t qualify for Social Security divorced wife’s benefits for the same reason that many currently married women don’t get a regular wife’s benefit from their husband’s account. And that’s because they are often due higher benefits on their own Social Security record. Because the benefit rate payable to a wife (or ex-wife) can only be as high as one-half of the husband’s Social Security — and is frequently as low as one-third (depending on the age at which a woman starts her benefits) — a woman who has worked any decent amount of time outside the home will generally get a Social Security retirement benefit that exceeds any spousal benefits she is due. In other words, if you’re a working woman, your husband (or ex-husband) usually isn’t worth much to you — from a Social Security perspective. That is while he is alive. But once he dies, and much higher widow’s benefits kick in, he finally can mean real bucks to you. Q: My ex-husband, to whom I was married for about 15 years, has remarried three times since our divorce. And he’s currently living with yet another woman. Because I never remarried, I know I am eligible for some of his Social Security. But can all these other women get money from him, too? A: It’s possible but unlikely. If some of those subsequent marriages didn’t last 10 years, the ex-wives involved won’t qualify for benefits. Those women who remarried (and are still married) won’t qualify. If any have worked and earned higher benefits on her own record, she won’t qualify. So again, the chances are pretty slim that all of these women will get benefits on your ex’s Social Security account. Because of the prevalence of divorces and remarriages, people always say, “No wonder Social Security is going broke. They’re paying all those benefits to so many ex-wives.” But as I tried to illustrate above, benefit payments to multiple divorcees are not as common as people think. If you have a Social Security question, Tom Margenau has the answer. Contact him at thomas.margenau@comcast.net. To find out more about Tom Margenau and read features by other Creators Syndicate writers and cartoonists, visit the Creators Syndicate website at www.creators.com.